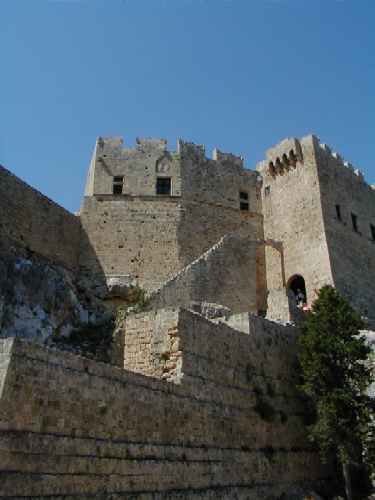 Left photo is a view of the acropolis in Lindos, Rhodes. Right photo is Terrie at the Lindos Acropolis on Rhodes, overlooking the ocean. Left photo is the old town of Rhodes as viewed from the harbor. 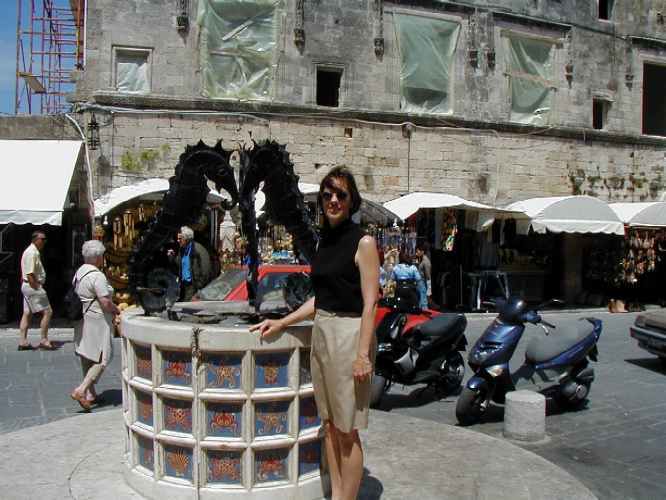 Right photo is Terrie in the old town of Rhodes. 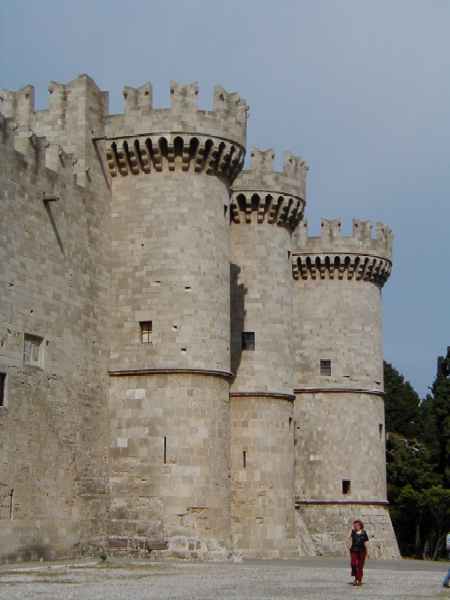 Left photo is the castle in the old town of Rhodes. 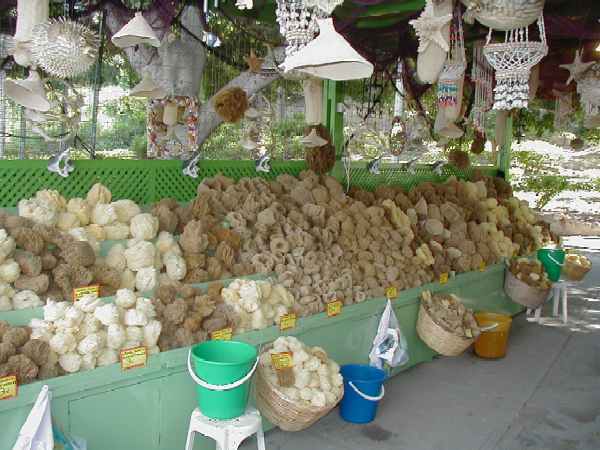 Right photo is a shop selling natural sponges at the harbor on Rhodes.